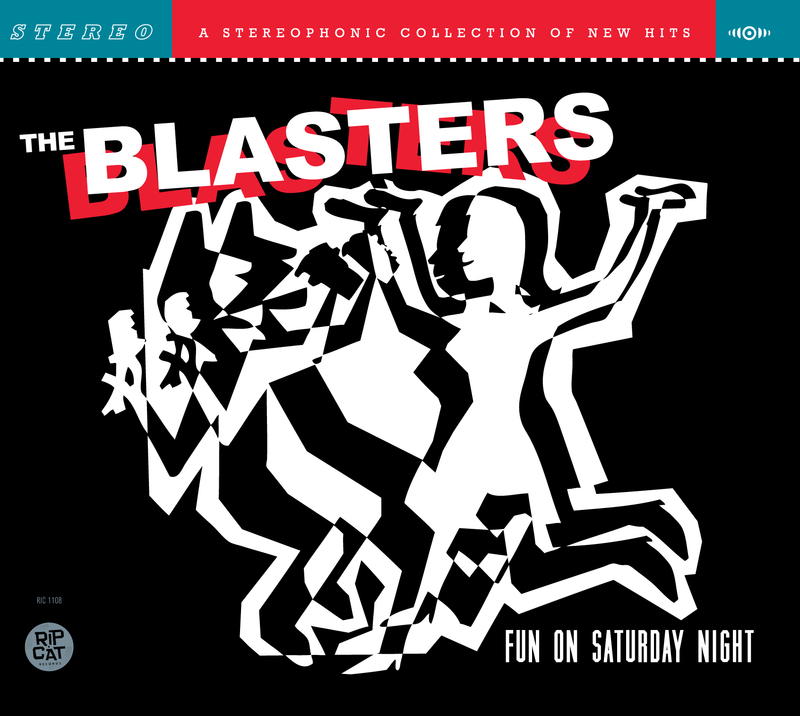 A new Blasters album is nothing to sneeze at. The roots rockers’ first four studio albums were released from 1980 to 1985, before singer Phil Alvin and lead guitarist Dave Alvin no longer saw eye to eye and Dave told his brother goodbye. The group’s next 10 years saw a revolving door of lead guitarists, including Hollywood Fats, Billy Zoom, Smokey Hormel and James Intveld. In 2002 the band still had not produced another studio album, but the original Blasters lineup reunited for shows that year and the next that spawned two live albums before Dave Alvin left again. The elusive studio album No. 5 finally materialized in late 2004 in Europe and summer 2005 in America. “4-11-44” featured lead guitarist Keith Wyatt (1996 to present) and drummer Jerry Angel (who joined in 1994). “Fun on Saturday Night” narrows the waiting period between albums from 20 years to eight, and finds original drummer Bill Bateman back in the fold, having rejoined in 2008. A more even effort than its predecessor, which nonetheless was an excellent release, “Fun” runs the usual gamut from blues to soul to rock to country and contains two new originals: a Phil Alvin song and a group composition. The Alvin song, “Breath of My Love,” is an engaging and clever story-song about a man whose lover is “probably bipolar” — at least according to her psychologist — and tries to kill him in a fit of jealousy. Rendered doo-wop style, the tale’s ironic, cliffhanger ending is sure to please. The group composition, “Penny,” features an astounding Howlin’ Wolf-type guitar lick, over which Alvin doesn’t so much sing as intermittently mutters assorted reasons why Penny shouldn’t (when he really means should) do those things she does. • The ripsnorting “Well Oh Well,” a 1950 R&B hit for Tiny Bradshaw. • “Jackson,” popularized in 1967 but written in 1963 by Jerry Leiber and Billy “Edd” Wheeler, in which guest Exene Cervenka plays June Carter Cash to Alvin’s Johnny Cash (or Nancy Sinatra to Lee Hazlewood, depending on your taste). • Sonny Boy Williamson II’s 1954 flip side, “No More Nights By Myself,” one of several songs John Bazz plays upright bass on. • “The Yodelin’ Mountaineer,” a 1946 B-side by J.E. Mainer’s Mountaineers. Alvin’s yodeling is spot on, but the modern rhythm parts and solos place it in a new context. Wrapping it all up is a Spanish-language version of the Blasters classic “Marie Marie,” retitled “Maria Maria,” with Kid Ramos guesting on bajo sexto. Kudos to Alvin and Bazz for keeping the group going all this time. Despite only two new studio albums in 28 years, they’re still playing that “American music” like nobody’s business.